The book information is designed to help you save time and energy when formatting review posts. Most reviewers always display the exact same information in the exact same way on their book reviews: book title, book author, publisher information, the book cover, etc. With the book info feature, you simply have to fill out user-friendly boxes each time you write a book review and then the HTML gets rendered and automatically displayed on the post. 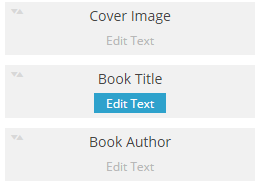 The book info feature is also what drives most of the other features on the plugin! All the sections in the "Enabled" column are turned on. All the sections in the "Disabled" column are turned off, or not in use. The order the boxes appear in the column is the same order they appear in on the post page. 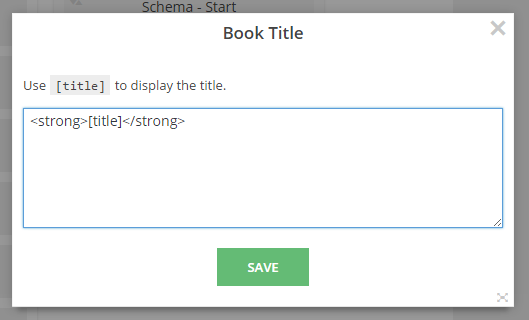 You can click on an individual box (like "Book Title") and drag and drop it to move it around. You can move each box above/below other boxes, or drag it into another column. The [title] shortcode is a placeholder for the actual title of the book. When you view a formatted post, that shortcode will be replaced with the title you enter on the Add Post page. In this case, our book title is wrapped in <strong> tags, which means the title will appear in bold. You can place this in any template, wherever you want the line break to occur. Since we've added the <br> tag at the end, we're adding a line break after the format entry. That means the next entry will appear on a new line.